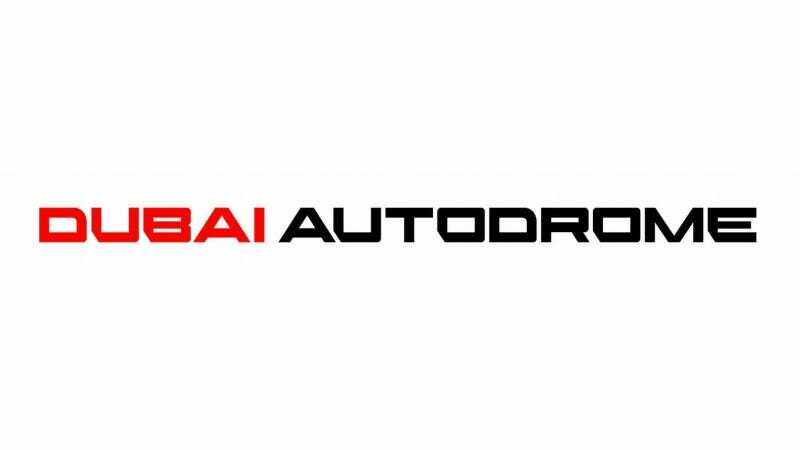 Dubai Autodrome is braced for an action packed 2013-2014 season of motor racing, sport and related activities, giving credence to the motto: "There is always something going on at the Autodrome." Of course motor racing, international and national, at both the Dubai Autodrome and Dubai Kartdrome will feature prominently. However the venue has also increasingly become a hub for runners and cycling, and as a result several exciting events will take place during the course of the forthcoming season. One of the most exciting of these will take for the first time at the venue, namely The Color Run presented by Activelife which has finally made its way to Dubai. The event will take place Saturday 14 December at Dubai Autodrome. The run is billed as the craziest and most colorful 5K run on the planet. Participants will include the fast, the slow, runners, walkers, cart wheelers, mums and dads with prams, the old and the young; The Color Run concept is all about fun! The only bad news is that entries are now fully booked for this edition. Sticking to a running theme is the Dubai Autodrome 10K Race organised by Dubai Road Runners, the oldest running club in the UAE, founded in 1990. The event, which takes place in March, has become a mainstay of the local running calendar with over 1000 competitors expected to lace up their running shoes and take to the track. A 'curtain-raiser' 5K run, also organized by the club, takes place on 11 December. Over the years Dubai Autodrome has increasingly become a hub for cycling and running with weekly events run under the Revolution Nights banner, from 18:00pm to 21:00pm every Wednesday evening, with around 500 participants - cyclists, rollerbladers and runners of all ages - in action. Held under floodlights, the track offers a safe and controlled environment for the whole family. Thanks to Revolution Cycles the event is free to all participants. On the motorsport front the Dunlop 24 Hours of Dubai remains the biggest event of the year, with 90 teams, around 400 drivers and 500 team members expected to descend on Dubai for the weekend of 9-10-11 January 2014. The event kick starts the global road racing season, with some of the most exotic machinery and top endurance drivers in action. At the UAE national level there will be eight races during the course of the season featuring: the UAE Sportbike Championship and the NGK Racing Series, intermittently accompanied by rounds of Formula Gulf 1000, Radical Middle East Cup and the Porsche GT3 Cup Challenge Middle East. The highlight of the national racing calendar is the, now traditional, Dubai Motorsport Festival which takes place on the weekend of 24-25 January 2014. For those who wish to unleash the true potential of their own cars or motorcycles but away from the dangers of public roads and highways, Track Days at Dubai Autodrome provide ideal escapes where enthusiasts can push the limits of their vehicles in a controlled and safe environment. Throughout the year Dubai Autodrome's Race & Drive Centre offers people the opportunity to experience the thrill of performance cars on this challenging race track, providing guests with hands-on access to: the Audi R8 V10, the F1-Style Single Seater, the Audi TT or the Renault Clio Cup - for those seeking an injection of natural adrenalin. Also on the 'menu' is the very popular First Drive Experience, which provides teenagers a chance at driving a manual car under expert supervision. Most Race & Drive sessions are available at least twice a week with several sessions during the course of a day. Checkhttp://www.dubaiautodrome.com for information, booking and timings. Across the boulevard at the Dubai Kartdrome, the busiest karting facility in the region, they are bracing for a bumper year of racing, along with the ever popular Arrive & Drive karting sessions. This season brings the advent of new circuit lights and a slicker experience, for both serious race drivers and weekend racers. Racing series will also feature prominently in the karting season ahead, with several SWS Sprint Series races open for both junior and senior karters. The top finishers in the UAE championship will qualify to take part in the Sodi-W-Series Global Finals in France. A record field of the best karters in the UAE and the region will descend on the Dubai Kartdrome for a double header weekend of racing in January, which is part of the prestigious and highly competitive UAE Rotax Max Championship. The Kartdrome Endurance Championship driven by Mini continues to grow from strength to strength with full grids for all four rounds, emphasising the popularity of what is the venue's flagship event. The tough endurance races feature both professional and corporate teams battling for the big prize in each category. Stamina, strategy, team work and speed are key elements to what are challenging contests, with the December edition of the series being the main event of the endurance karting season. Dubai Autodrome General Manager Richard Birch commented, "We are very proud of the events we are staging at our venue during the course of the forthcoming season. We are particularly happy that our venue is also attracting men and women from other sports disciplines such running and cycling, which clearly shows that Dubai Autodrome has been embraced by the community as a multi-purpose sporting hub." "We like to think of Dubai Autodrome as the heart of MotorCity, and the people who race here, run here, cycle here as the heartbeat," he added.